Do you have questions or comments? Please feel free to reach out. Arnold M. Patent is a bridge builder. In Bridges to Reality, the traveler can find support and guidance over the rocky terrain of doubt and fear to the higher ground of love and acceptance. Not only does Bridges to Reality provide a lighted pathway to a clearer and more majestic view, it embraces the reader with warmth and encouragement to enjoy the journey. Buy at Amazon or purchase the ebook here for download (pdf file). A bridge is a structure that supports movement from one place to another. The bridge usually spans areas that are unpredictable and arduous to traverse. Thus, the bridge becomes a true friend to the traveler. Arnold Patent is a bridge builder. In this book the spiritual traveler can find support and guidance over the rocky terrain of doubt and fear to the higher ground of love and acceptance. 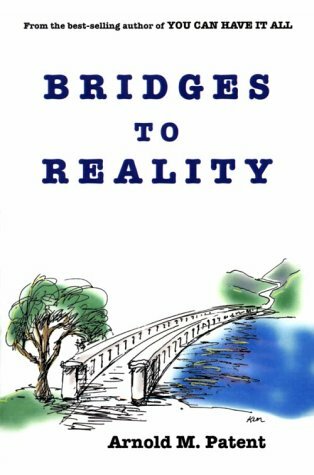 Not only does Bridges to Reality provide a lighted pathway to a clearer and more majestic view, it embraces the reader with warmth and encouragement to enjoy the journey.